Angel is a real cutie! He has opening and closing blue eyes and a soft cuddly body with vinyl limbs and head. He's made in Spain by Vestida de Azul. 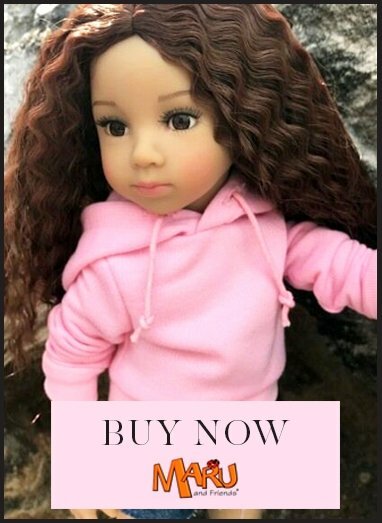 A girl doll is shown, but she's not included. However, you can see what Angel looks like with his eyes closed because he and the girl baby doll (named Alba) have the same faces.